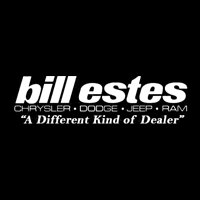 Bill Estes Chrysler Dodge Jeep Ram is a premier full-service dealership in Brownsburg, Indiana with a fantastic selection of new cars and used vehicles to take your breath away! From the rugged Jeep Cherokee to the stunning Dodge Charger, we’re confident you’ll find the perfect vehicle for you and your family at our Brownsburg, IN auto dealership. If you’d like additional information on our vehicles or our automotive services, call us or come visit us today for an exciting test drive at Bill Estes Chrysler Dodge Jeep Ram. If you’re looking for genuine factory auto parts and automotive service you can trust, look first to the professionals at our Brownsburg, IN auto service center. From fast oil changes to in-depth service and repair, our certified technicians will have you fixed up and back on the road in no time! Call us today or schedule your next service appointment online. When you come see us today at our Brownsburg, IN automotive finance center, our friendly team of auto finance experts can help you get a great price and terms on your next car loan or auto lease. And if you don’t have good credit, not to worry. Give us a call now, or use our online credit application tool to get pre-qualified for auto financing today!